The lead actors were well spoken in the style of the 1930s. 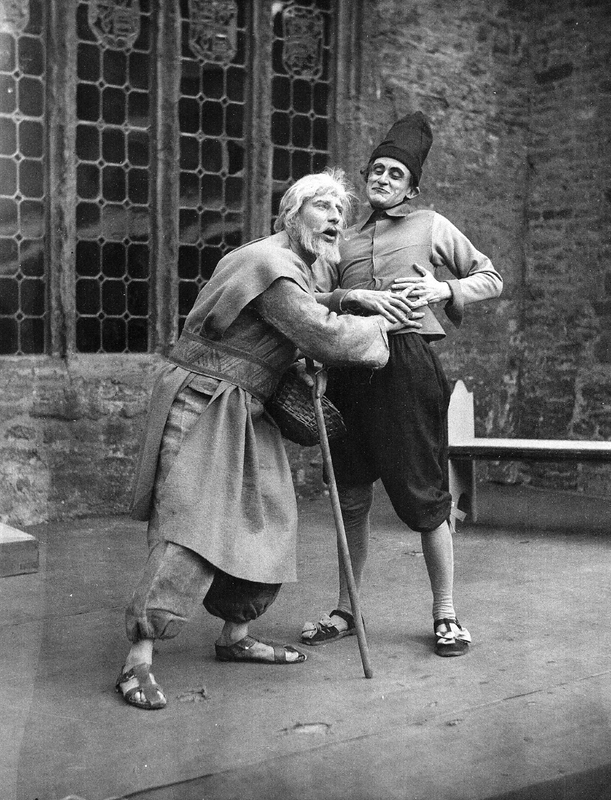 In the case of Shylock (John Parkin), it was clear that he had been a professional actor of that breed who had manfully brought Shakespeare to the provinces in the teens and twenties of the last Century. There was an energetic infusion of recently demobbed young talent, notably Geoffrey Brightman who soon turned professional and two young journalists from the local paper: Jack Alcock and Mike Green. Mike was to draw on his experience at that time when writing his Art of Coarse Acting. Also from the literary world was writer and broadcaster Eric Roberts who is still writing for the Northampton Chronicle & Echo. 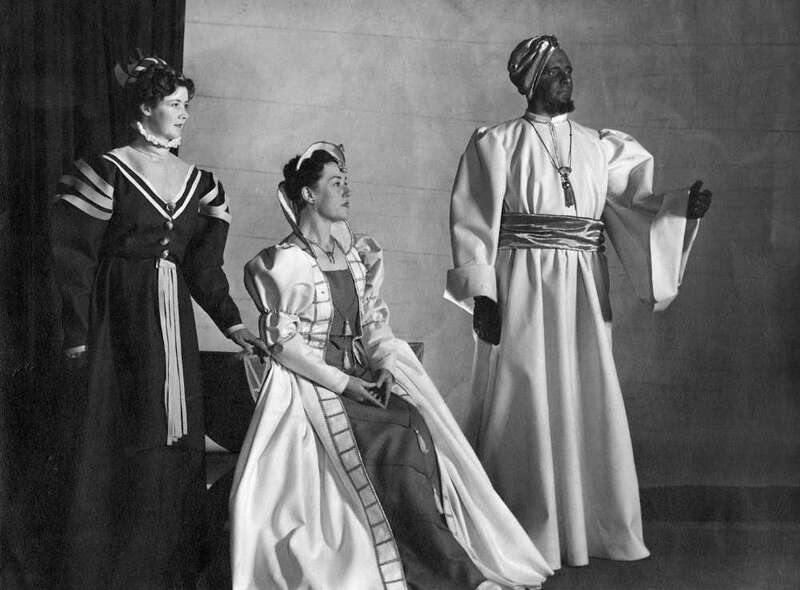 The highly-decorative Elizabethan-style costumes were made in felt (that and lace were the only two fabrics unrationed at that time) and the exotic Venetian set was very much in the style of designer Tom Osborne Robinson who taught at the local art college as well as painting a set a week at Northampton Rep.